I made this for my daughter and is in the midst of sewing up another one in purple. Thought I’ll share it as a tutorial 🙂 The size is about 35.5 cm wide x 26 cm tall x 8 cm deep . 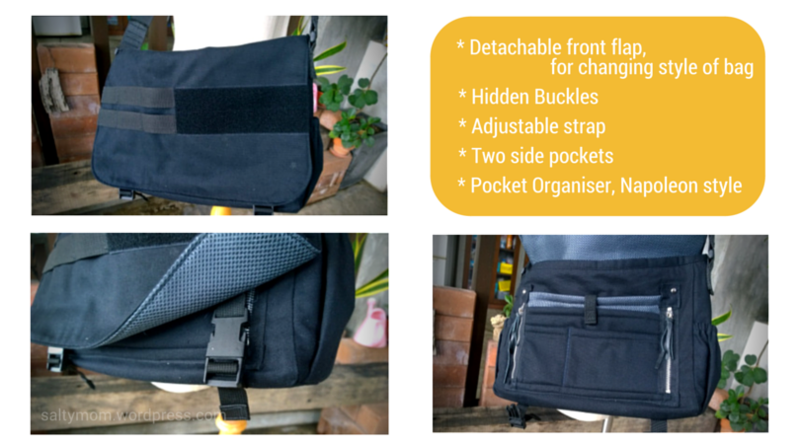 It has an adjustable strap, half-hidden buckles, removable front flap ( so you can just sew another flap, instead of a whole bag , if you get bored of the design ), pocket organiser with zipper sides for easy access to keys and phones, side pockets that fit a 600 ml water bottle, and also a wide inner pocket. The flap in this version have some slots for attaching stuffs , and the black part is velcro for sticking patches. 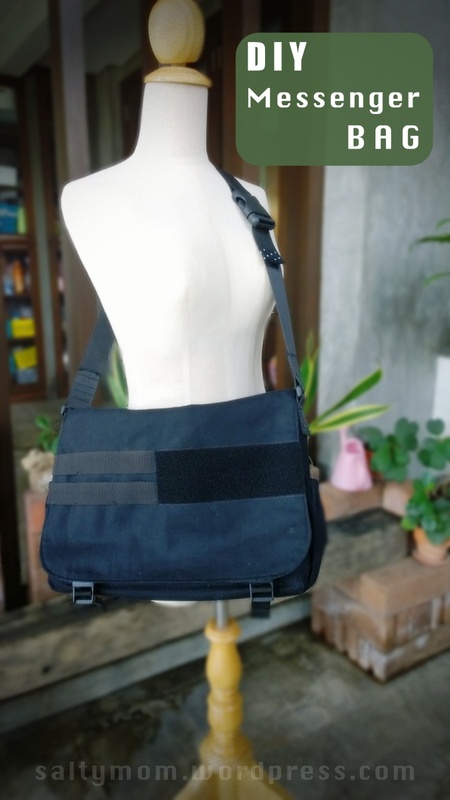 I got the idea from tactical / army bags. The fabric used is canvas and a sponge fabric , like those they use to make notebook sleeves. I’ve got a photo in this post. For interfacing, I use a thin flexible plastic fabric which I’ll show you in later posts. But ! you can use whatever fabric you want as interfacing or the lining. 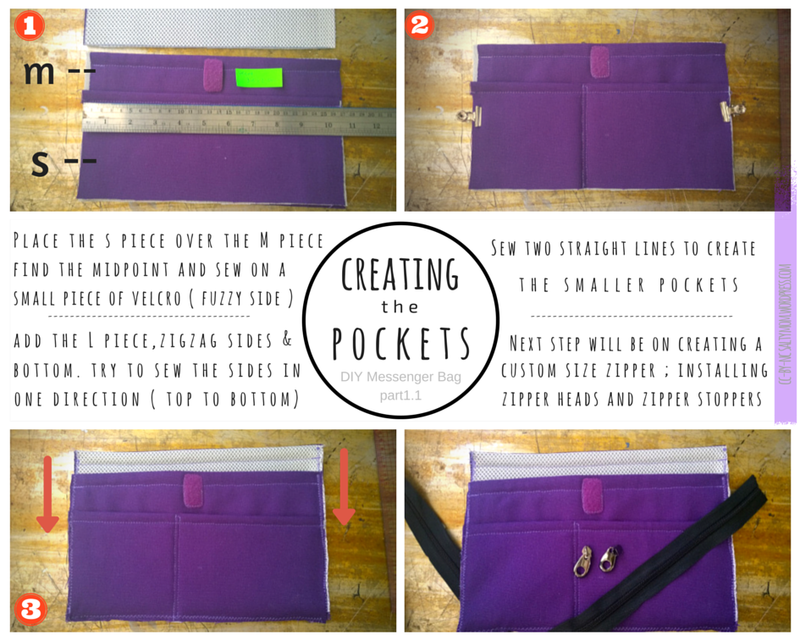 Just test sew the three together to see if you like the thickness / stiffness of the bag. Note : On step 3, I sew the sides in different directions and it came out lop-sided. I think this is caused by all the air in the sponge fabric. I later ripped out the stitches and re-do it. 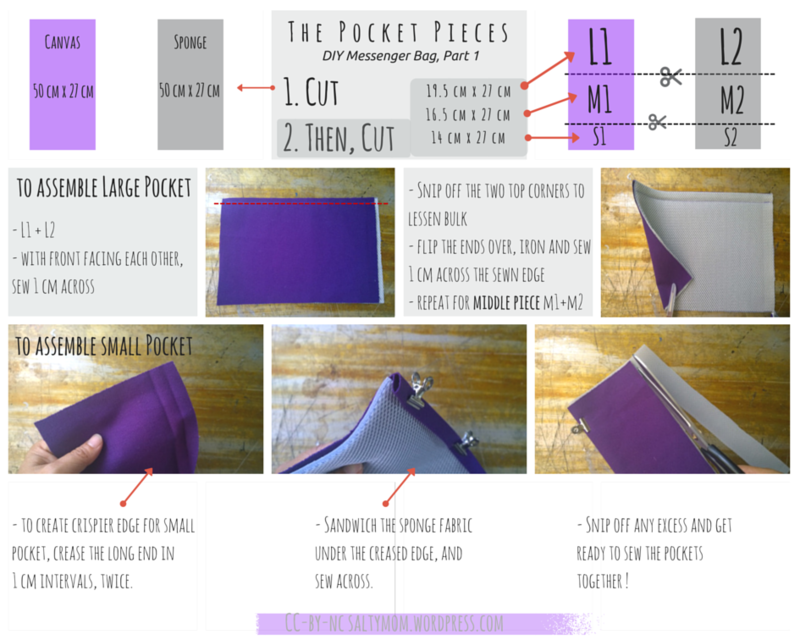 I created the instructions with Canva , using all the free stuffs. The website is pretty easy to use and they also have a design school section showing how to use fonts, colours, and other design elements. It’s excellent! Makes me wish even more that I sewed.